How to cope with the unjust death of a loved one? Being involved in a car accident can be a life-changing experience. The implicit physical, mental and emotional effects of a car accident could remain with you for the rest of your life. If you have been involved in a car accident, you need an experienced lawyer at your side who can help you get the compensation you deserve. When should you get a Lawyer if you have been involved in an Automobile Accident? What Evidence Is Needed for a Car Accident Claim in Houston? Your lawyer can use these tests to help prove another person’s guilt and demonstrate the severity of their injuries. Houston Statute of Limitations on Car Accident The state of Texas generally has a statute of limitations of two years, which means that you have two years from the date of your accident to file your claim. However, you should consult with your attorney as soon as possible while the details of the accident are still fresh in your mind and witnesses and evidence are available. Take pictures of the accident site, including damage to the vehicle and other damaged structures. Admission of guilt – it is not prudent to determine who is at fault, since you may not have knowledge of all the circumstances that contributed to the accident. Also Texas state and local laws that are applicable to the accident are complicated and technical. 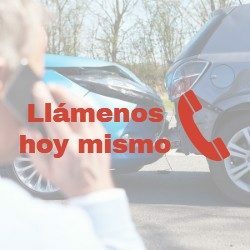 Fail to exchange contact information – If possible, you should exchange insurance and contact information with the parties involved in the accident. Also, be sure to get the license of the car from all parties involved. Do not take notes – You should write down all the details you can think of as soon as possible. Even the little things you think would not be important could make the difference in winning your case. Get out of the scene before talking to the police – This not only makes you look guilty, it could also be a felony in some circumstances. Be sure to give your statement to the police and get permission to leave the scene. If you suffered injuries in a car accident, you should not have to suffer for another person’s mistake. A car accident lawyer can help ensure that you receive fair compensation for your injuries and other costs associated with your accident. Even if you can not completely alleviate yourself, having the lawyer on your side, can help you lighten the financial burden and stress of all created situations so that you can begin to put your life in the right direction. The lawyer Alejandro Padua and his team believe that nothing should get in the way to obtain the compensation you deserve. That is why we work with each client on a contingency fee basis – if we do not win your case, you do not pay. Once we start your case, we devote as much time and resources as possible to help you get a positive resolution. You will have your lawyer’s direct telephone number and other contact information for immediate communication. We will work with you around your schedule and we will meet wherever it is most convenient for you to ensure that we are working towards a solution. Is it really necessary to talk to a lawyer? Not all accidents require a lawyer. However, if you feel that you were wrongly blamed, have suffered a serious injury, or feel that the insurance company offered an agreement that is not sufficient, it is in your best interest to partner with a lawyer who can help you navigate the legal field. The insurer said I do not need a lawyer, is that true? Insurance companies seek to protect their own interests, not theirs. The less they pay, the more they gain for themselves. They are notorious for denying demands or making absurdly low offers. A lawyer can ensure that you are paid fairly and can help you get the most money for your claim. I do not want to go to trial, can you still help me? Many cases never go to trial because insurance companies and some injured people prefer to settle out of court. There is a great chance that you will receive your compensation without setting foot in a courtroom. When you win your case, you pay a percentage of your recovered money. If we do not win your case, you pay nothing. How long will it be before my case ends? Each case is different and could take a few months or even years before an agreement is reached or the trial begins. We work continuously to get you the solution you deserve as quickly as possible, but without sacrificing the value of your case. There is no way to guarantee when your case will be finalized because it depends on many factors. Contact a Car Accident Lawyer in Houston Today to discuss your case. There is no risk in knowing how a car accident lawyer can help you, and there is absolutely no obligation to move forward with your case. Schedule your private, free consultation today and focus on your medical recovery and financial recovery.